These are the promises of God, five values that God will put into the lives of his followers. These contrast with five values the world has. God says: I will remove the heart of stone from their flesh and give them a heart of flesh. In contrast, the message from the world, from culture and peer pressure is Trust no one. You can trust no one is a message from TV programmes. The X Files and Breaking Bad showed a dystopian society where no one could be trusted. I loved both these shows, but I have to remember that these were fiction, and they reflect only one aspect of society. 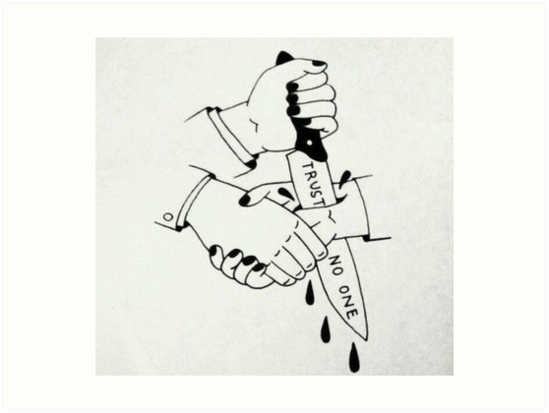 Trusting no one leads into dangerous territory, to cynicism and to blame. The politics of blame can be seen clearly when politicians and political parties at elections and referenda spend more time trying to make you afraid of what might happen if ‘the other lot’ get in, than they do trying to convince people that they have the right policies to help them. We live in a world where the purpose of politics is to spread fear. Everything is blamed on another group, whether it is the left wing, or the right wing, or the liberals, the gays or the transexuals. Even churches are involved in the politics os scapegoating others and not accepting their mission to spread God’s love to all. Hearts are hard at all levels. God loves all. so that includes the gay, the straight, the transsexual, the native, the immigrant, the asylum seeker, those who wish Britain to remain in the UK and those who wish to leave. God loves because God is love. Looking at scripture it would seem that the trusting in no one is also God’s message. We come to God because he is the only one we can trust, and he changes us, he takes the hard hearts that close us to other people, and opens us up to love them. There are no conditions to Love Thy Neighbour. No addendum on Welcome the Stranger. No amendment to the Golden Rule. And if I’m wrong, may I err on the side of love. God takes our cold hearts of stone and changes them into warm hearts of flesh. Hearts that hate are changed into hearts of love. Let God change yours.